The findings of a study by Swansea and Cardiff University scientists highlights the need for boating activities along the UK's beautiful coastlines to be conducted in a more environmentally friendly manner. The study "Rocking the Boat: Damage to Eelgrass by Swinging Boat Moorings", was led by Richard Unsworth and Beth Williams at Swansea University where it formed the basis of Beth's MSc thesis. The research was conducted in conjunction with Benjamin Jones and Dr Leanne Cullen-Unsworth of Project Seagrass and the Sustainable Places Research Institute, Cardiff University has been published in the Open Access journal Frontiers in Plant Science. 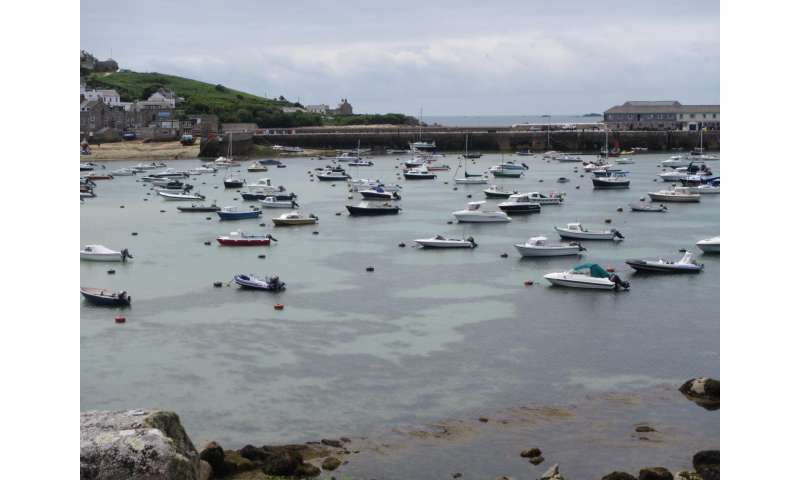 Lead author Dr Richard Unsworth, said; "In the present study we examined swinging chain boat moorings in seagrass meadows across a range of sites in the United Kingdom to determine whether such moorings have a negative impact on the seagrass Zostera marina at the local and meadow scale. "We provide conclusive evidence from multiple sites throughout the UK that Z. marina is damaged by swinging chain moorings leading to a direct loss of at least 6 ha of United Kingdom seagrass. Each swinging chain mooring was found to result in the loss of 122 m2 of seagrass. Importantly loss was found to be restricted to the area surrounding the mooring and the impact did not appear to translate to a meadow scale. This loss of United Kingdom seagrass from boat moorings is small but significant at a local scale. This is because it fragments existing meadows and ultimately reduces their resilience to other stressors (e.g. storms, anchor damage and poor water quality). "Boat moorings are prevalent in seagrass globally and it is likely this impairs their ecosystem functioning and resilience. Given the extensive ecosystem service value of seagrasses in terms of factors such as carbon storage and fish habitat such loss is of cause for concern". 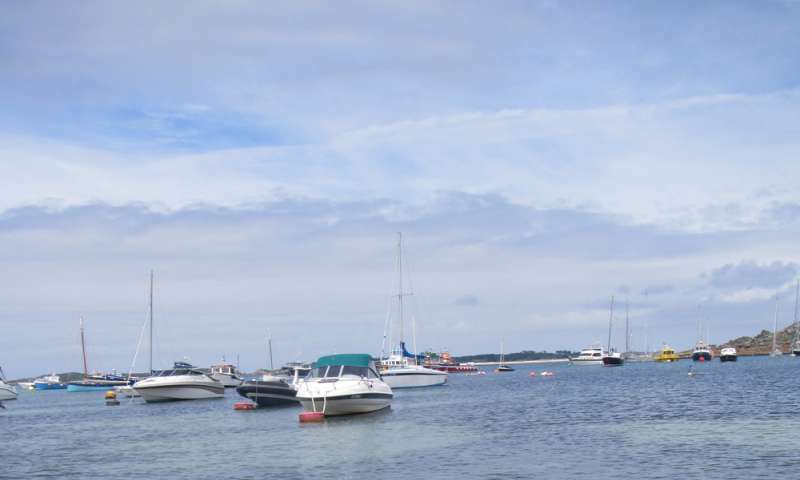 "Our research highlights the need for boating activities in and around sensitive marine habitats such as seagrass to be conducted in a sustainable fashion using appropriate environmentally friendly mooring systems" stated Dr Unsworth.